Police have arrested two people after a 21-year-old man was stabbed on the Watherhen Lake First Nation on the weekend. RCMP say the incident happened at a local residence on Saturday with the man allegedly being stabbed in the back several times. Two suspects fled the scene and the victim walked to a neighbouring residence for help. He was taken to Meadow Lake Hospital to be stabilized before being transported to Saskatoon for further treatment. A 17-year-old male from Waterhen Lake First Nation has been charged with attempted murder without a firearm, aggravated assault and possession of a weapon for a dangerous purpose. 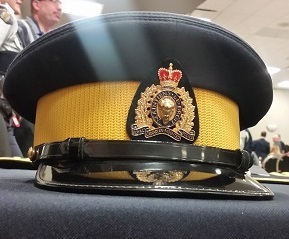 A 16-year-old male from Waterhen Lake First Nation is charged with one count of failing to comply with a probation order. Both suspects are due to appear in Meadow Lake Provincial Court on Monday.